Sustainably created and handcrafted by the highest quality artisans, the pieces in this elegant collection are classic in their look yet contemporary in their design. Using responsibly sourced natural materials, the collection combines superior craftsmanship with art in perfect harmony, encapsulating the flawless aesthetic of the natural world. With the effortless wonder of Earth’s creations serving as our constant source of inspiration, the collection showcases five of our most popular surfaces, Hatchet Shell, Eggshell Snakeskin, Mandarin Bamboo, Tobacco and Pearl Shell. Buying a piece from The Elements Collection is the perfect way to bring peace and tranquillity into the Home, Restaurant and Hotel. Nature is full of infinite faultless blueprints and designs, which are elegantly displayed through the variety of finishes within the range. As nature provides us with multiple models of excellence, the collection is available in a variety of finishes and five natural materials in a wide range of colours and patterns. In choosing The Elements Collection furniture, you choose to bring both nature and art into the home, Restaurant and Hotel in the way that only Nature Squared can. The furniture within The Elements Collection is simultaneously organic, artistic and functional, comprising of ornate mirrors, console tables, classically elegant coffee tables and side tables. The Elements Collection is timeless, adding a touch of bespoke sophistication to the room of any discerning buyer, whether the collection features as an individual product or a whole collection. The products in the range are artisanal, luxury pieces designed to take pride of place in any room, balancing nature’s touch with human artistic innovation. Nearly all of the pieces come in a choice of sizes, allowing the buyer the luxury of choice and ability to adapt the collection to suit there needs. The Elements Collection Mirrors are stunning and elegant, turning a plain wall into an artistic canvas. They perfectly display the contemporary gracefulness so integral to the collection whilst drawing the eye in due to their unique and distinctive frames. They are available in both Tall and Square and any of The Elements Collection’s finishes. 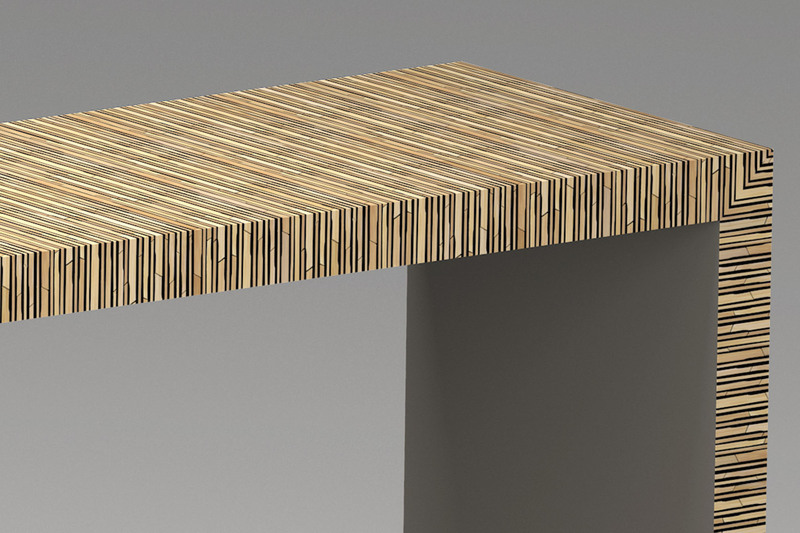 The Consoles have a lustrous sleek design, allowing them to become the centre point of any room they adorn. The piece is versatile, adaptable and uncomplicated in its design – the perfect contemporary twist on the traditional item for any modern Household, Restaurant or Hotel. They are available in two sizes and multiple finishes. Our Coffee Tables were designed with the organic materials as the focal point. The clean lines and striking detail reveal the beauty of such materials in an understated manner. These bold, contemporary and eye-catching pieces are available in two sizes and any finish. The Elements Collection Side Tables are not simply an object of convenience, but a piece of art in their own right. Our design reimagines the side table from an often under appreciated item of furniture into a tasteful, modern piece of design that can now take pride of place rather than be hidden away. This piece is alluring without drawing the attention from the rest of the room. Our five natural materials that make up the Elements Collection are Hatchet Shell, Eggshell Snakeskin, Mandarin Bamboo, Tobacco Leaf and Pearl Shell. Each material is handcrafted and consciously, sustainably sourced from land or sea. They are enticing in their rarity and thus quietly exude luxury and sophistication. Hand cut and sourced by local fishermen, discarded Hatchet Shells are painstakingly inlaid into a coloured resin to produce our gorgeous Hatchet Shell design. It is available in three natural finishes – Jupiter Burgundy, Jupiter Black and Jupiter Ivory. Available in Sapphire Blue, White, Burgundy and Black, the Eggshell Snakeskin stands out due to its apparent snakeskin design. However, it is utterly unique and ethical as it is in fact made entirely of eggshell. The design is inspired by traditional Asian techniques, in which eggshell and lacquer are applied and polished by hand. Unique patterns are then created by crushing eggshells, and colouring and texturing the lacquer. The Eggshell Snakeskin design is currently being used for table tops in Mexican Restaurant, Ella Canta, within the prestigious London Intercontinental hotel on Park Lane. Our remarkable Tobacco Finish is sourced from the Asian highlands, where we carefully pick and inlay the leaves onto their carcasses. In order to accentuate the classical grandeur of the tobacco leaf we work in a highly humid environment, resulting in a remarkable variety of colour palettes, no two leaves are ever, ever the same. To create our Mandarin Bamboo design, fast-growing bark and grass are sun dried, cleaned by hand and inlaid into resin. Once dried, the surface is sanded down to show the inner structure of the plant. 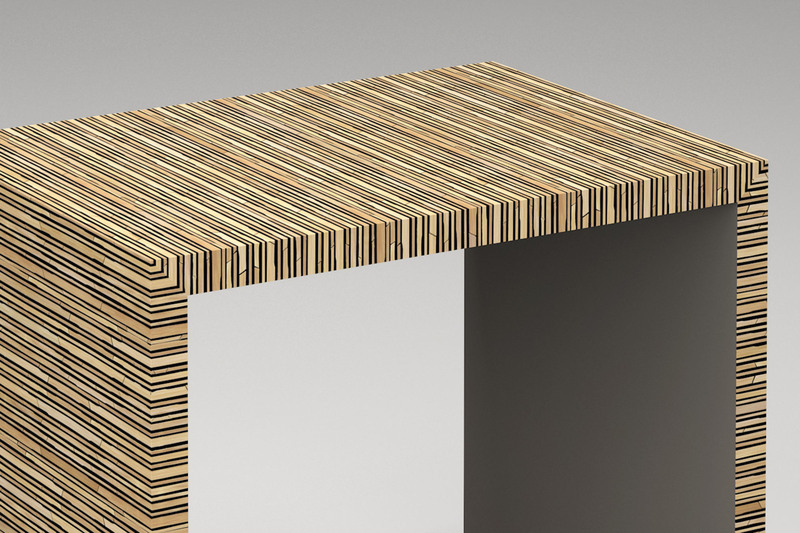 This arresting and remarkable design is available in multiple finishes. ‘Sunburst’ is available in dark and light, whilst horizontal and vertical designs are available in Grey, White, Burgundy and Black, resulting in ten different finishes to choose from. Pearl Shell, which is available in Gold Yellow as well as four ‘Callisto’ finishes; White, Burgundy, Blue and Black, is the by-product of molluscs that have been harvested for food. Once cleaned, they are inlaid and unsealed to reveal their beautiful pearl insides – this is enhanced through cracking, cutting and colour selection. The Elements Collection allows the organic and natural to take centre stage. The minimalist yet thoughtful design serves as a platform for the innate perfection and refinement of the natural world to shine. Luxury, artistry and bespoke design harmonise to create this remarkable collection, adding a soft yet impressive touch to any space.